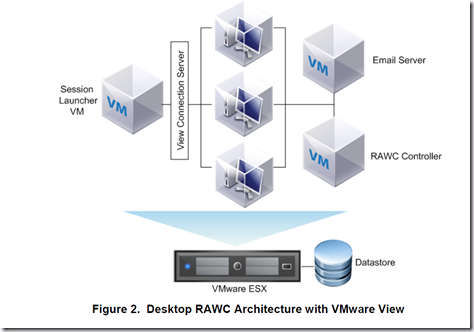 VMware released last week the desktop Reference Architecture Workload Simulator (RAWC). When validating VMware View™ designs it is important to simulate real world usage as closely as possible. 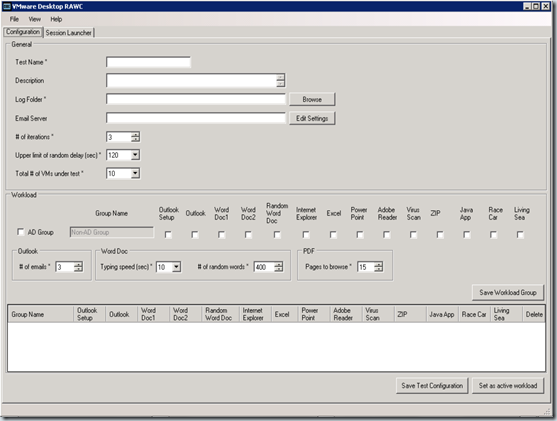 The Desktop Reference Architecture Workload SImulator (RAWC) can be used to simulate a user workload in a typical Microsoft Windows® desktop environment. Desktop RAWC runs on a Windows XP guest operating system and is executed on each desktop virtual machine (VM) on one or more ESX™ hosts. Each target desktop VM is equipped to run a RAWC workload that simulates typical user behavior, running an application set commonly used across a broad array of desktop environments. 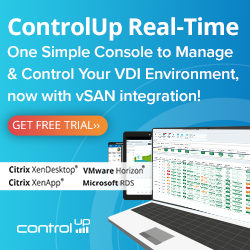 The UI enables you to save and retrieve test parameters, create log folders, and define unique workloads based on Active Directory groups. You can use the UI to increase the load or adjust the user behavior, such as the number of words per minute that are typed and the delay between applications being launched. The RAWC kit is available for download from the VMware partner central website. Hi – I can’t find a download for this in the partner centre?? Is RAWC also working with XP and Office in another Language than English ? The Workload is not starting. I am not the partner to Vmware ,if any body can provide me download link to RAWC software.I would also like know if can install the same tool for windows 7 desktop automation . Does the tool simulates all the mouse clicks and keyboard operations through Display protocol for workload execution, or just workload scripts running on the desktop VMs?